A Male Teacher Sits Supervising A Group Of Children Who Are Working On Whiteboards And Digital Tablets. Royalty Free Fotografie A Reklamní Fotografie. Image 43346097. 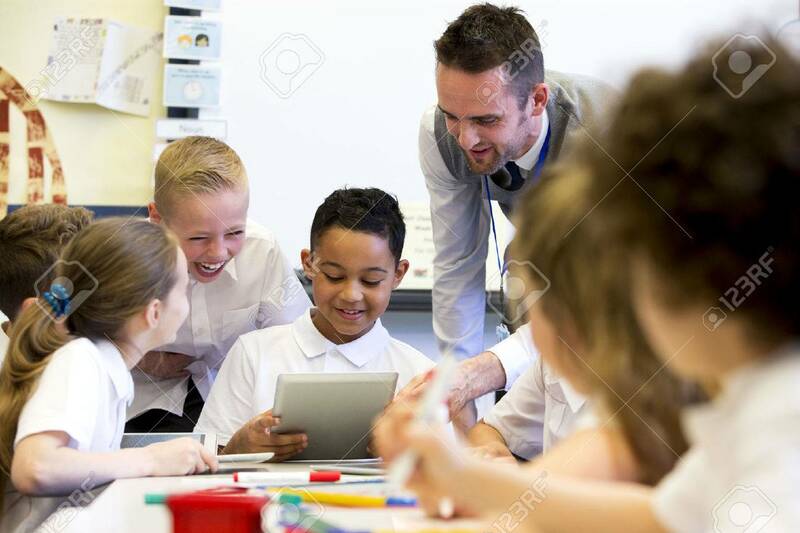 Reklamní fotografie - A male teacher sits supervising a group of children who are working on whiteboards and digital tablets. A male teacher sits supervising a group of children who are working on whiteboards and digital tablets.